It seems like a lifetime ago as 2019 has gotten off to a flying start but I ended last year with a dreamy trip to Cuba. 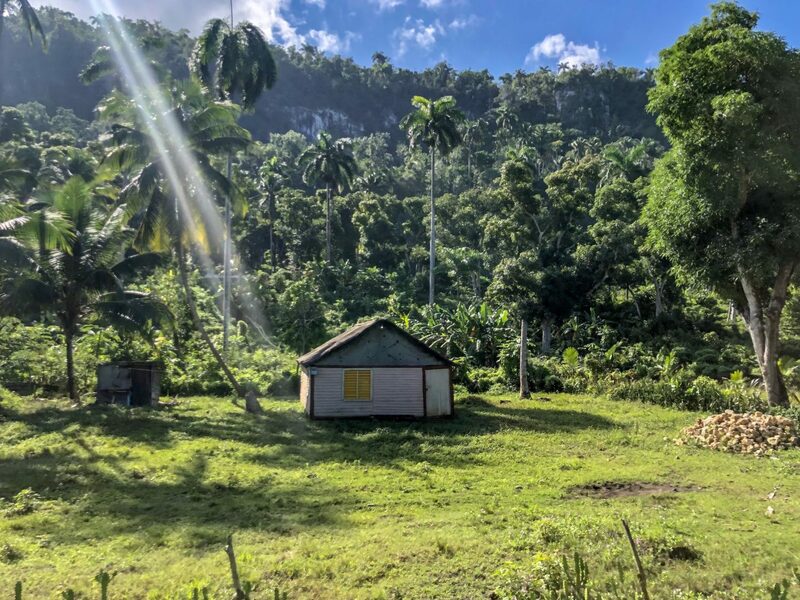 I feel so fortunate to have spent three blissful weeks ping-ponging around this intriguing, idyllic and complicated island, exploring everywhere from Baracoa to Viñales. While I had a great time out there, I have to admit it’s the most complicated trip I have ever planned so I wanted to put together the ultimate Cuba travel guide full of practical tips and advice to help you plan your own dreamy trip to Cuba. 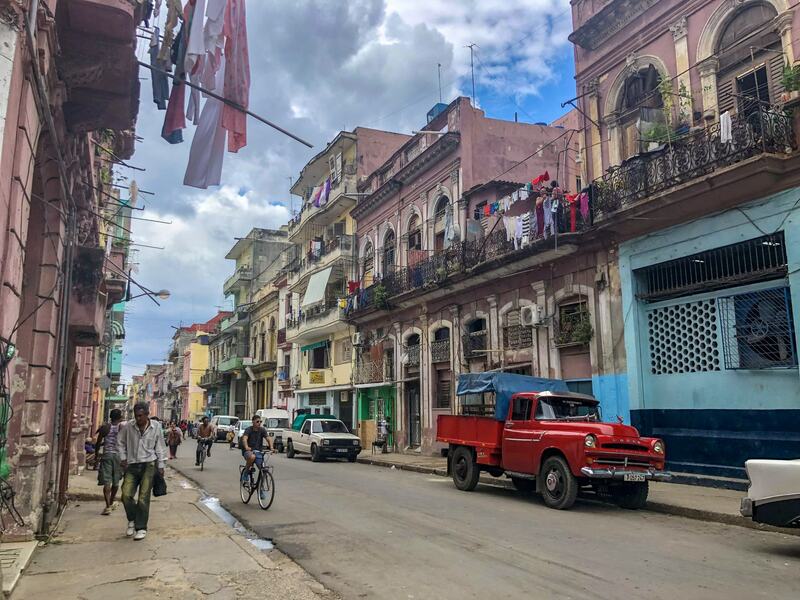 While I’ve travelled to South East Asia and even Africa with just a vague plan of where I wanted to visit, safe in the knowledge that I could wing it and book hotels, buses and trains on the go, Cuba is a totally different beast. Though tourism is one of the main sources of income for the island, the infrastructure isn’t well set up for tourists compared to the rest of the world. It’s a country with a lot of quirks and my trip needed a lot more prep than a vague plan and lots of optimism! The government only allowed public wifi spots in 2015 and even now, it’s difficult to get online over there. I spent hours on Google trying to research the ins and outs of visas, where to visit, places to stay and what the food was like, often finding out of date info, if anything. I wanted to save you the hassle and summarise everything you need to know in the ultimate blog post on all things Cuba. 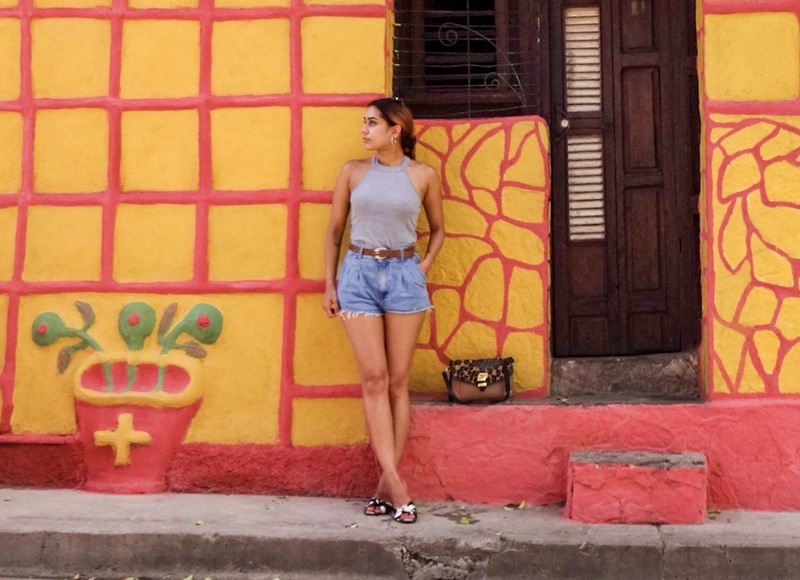 I want to start by sharing my experiences of travelling around Cuba as a solo female traveller. The biggest question I was asked before I left was “Is Cuba safe?”. Well, I spent three weeks backpacking around the country, often going off the beaten path and I felt pretty safe. Cuban people are super warm and friendly and I would recommend Cuba as a place for women to travel solo. Just be aware that catcalling is commonplace and practically part of the culture. The important thing to note is that the men aren’t persistent or pushy so just ignored the unwanted attention and it will go away. As with anywhere, exercise caution but in my experience, I felt safer walking down barely lit streets at night in Cuba than I do in London. The laws are fairly strict so by default it’s safe – it’s in no one’s best interests to get arrested in Cuba. I hope this helps to reassure and empower anyone interested in travelling to Cuba solo. The second most important topic to note is food. When I was planning my trip, everyone that had been to Cuba warned me about the bad food. While Cuban food itself is absolutely delicious, the food situation in the country is a little ropey, to say the least. Cuba imports 70-80% of its food, the majority of which is redistributed as rations. What you get to eat is dependent on what comes into the country. The heavy reliance on imports leads to scarcity and volatile prices. At some points during my trip, bread was hard to get hold of and the price of eggs soared making them far too expensive to have for breakfast. I also visited four shops with my casa owner to find ingredients to cook a basic spaghetti with tomato sauce. All restaurants used to be government-owned and the majority still are, though laws have relaxed to allow for paladars (private restaurants) to open up. The food in paladars is supposed to be better than government-owned restaurants so I always tried to hunt one down for my meals. All things considered, I did eat very well. I was warned that as a vegetarian I’d be on a strict diet of rice and beans…and more rice and beans. 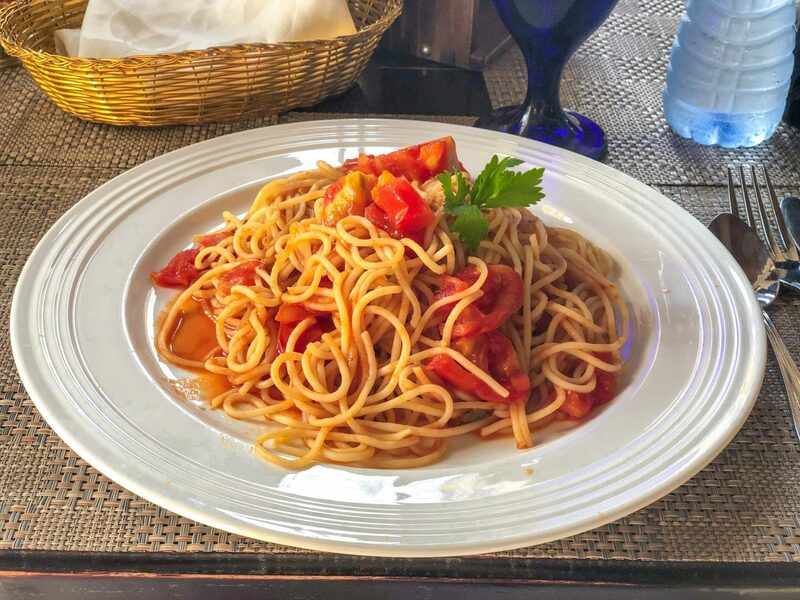 But I had a fairly varied diet, I did eat spaghetti about once a day but I love pasta so it wasn’t a downside. The food isn’t gourmet by any stretch of the imagination but it is tasty. I definitely prefer the food on the east coast but I definitely didn’t have a bad meal during my three week trip. If you’re a seafood lover, you’ll eat like a king for next to nothing. As mentioned earlier, it’s tricky to connect to wifi in Cuba. The government finally gave the green light to public wifi hotspots in 2015 and this is the most accessible way to get online. Broadband and mobile internet are prohibitively expensive. In order to connect to public wifi, you must get an ETESCA card. They are sold in ETESCA booths, just look for a booth or shop with a long queue. The queues can literally be hours long, the longest I waited was 2.5 hours..! You can buy a card for 1 hour for 1CUC (about 80p) or a 5-hour card for 5CUC (about £4). I preferred to buy the 1-hour cards but I would buy 4-5 at a time rather than trying to find a booth and queueing every couple of days. You can also buy wifi cards at hotels but they’re often a little more expensive. The next step is to find a hotspot to connect to. ETESCA have a list but it’s pretty easy to figure out – just look for a bunch of people on their phones in public spaces like parks and squares. Wifi cards have two sections that need to be scratched off to reveal a username and password. Your allocated time starts from the moment you connect. Remember to disconnect from the wifi and turn your wifi off so you don’t waste your precious time! It’s a bit of a palava to connect to the internet so prep as much as you can beforehand. I amended my phone settings so my email, WhatsApp and maps didn’t fetch data in the background – if I really need my emails I manually refreshed them. I also screenshot all of my confirmation emails so I had them to hand in a folder on my phone. I found it really handy to download Google Maps offline, so you’re able to access Google Maps and their data without wifi. This was a godsend when arriving in a new town or city and having no idea where on Earth you were! Pro tip: Prepare as much as possible on your phone before you actually connect to the internet. I replied to Whatsapp messages on the go, they stay in the app and only get sent once you have a wifi connection. I always edited my Instagram pictures and wrote the caption offline and saved it on the app. I’d pop online a couple of times a day to post, which was as simple as clicking a button. Other than this, I kept my internet activity to a minimum. Due to the political situation, Cuba has been somewhat cut off from the rest of the world. This is what makes it such an incredible place to travel to, the beautiful 1950s cars are an indication of when time stopped on the island. This also means that it can be a little difficult to navigate if you don’t speak at least a little Spanish. I’ve been pleasantly surprised by how much English is spoken in rural Vietnam or remote parts of Kenya. But on the whole, I got by ok. I usually found someone who spoke a little English or was able to piece together my Spanglish. But I did feel a little disconnected from the wonderful Cuban people I met as we couldn’t really communicate beyond the basics. I met a Mexican guy and we travelled together for a couple of days and it was completely different experiencing the country with a native Spanish speaker – people shared so many incredible stories with us. As with any other country, I’m a huge advocate of learning at least basic words phrases in the local language rather than assuming everyone speaks English and is happy to do so. I noted down basic words and phrases so I had them to hand and added to my list throughout my time in Cuba. I also listened to a couple of Spanish podcasts too. Right now onto the visa…also known as the Cuban Tourist Card. They are the same thing – I found this very confusing as no sites specified they were interchangeable terms. Most visitors will require a visa to travel to Cuba and the process is fairly old school. The process for UK citizens is to fill out a form and post it to the embassy along with a banker’s draft for £39. There’s no indication of how long the process will take. After doing a lot of research, I decided to buy my visa from this site, it’s £24 plus shipping and you can choose next day delivery for an additional fee. I was a little apprehensive but it arrived as promised, the Tourist Card was legit and it was cheaper than going through the embassy. Cuba is a very big country and travelling around the island is slow, sometimes it takes the better part of a day to travel from A to B. Your itinerary will be largely dependant on how much time you have to spend in Cuba. There aren’t many options for speedy travel. Domestic flights are VERY expensive and have a sketchy safety record and the train system is old, slow and unreliable. Your main options are travelling by bus or by shared taxi, more details on these below. This is the typical tourist trail. You’re likely to land in Havana so spend a couple of days taking in the sights of Cuba’s capital. I adored Old Havana. Viñales lies on Cuba’s West Coast. It’s a beautiful, lush valley with plenty of hiking and horse riding options plus it’s home to a lot of tobacco farms. I found it to be very touristy but beautiful. Varadero is essentially a hub of resorts on a beautiful stretch of white sand. 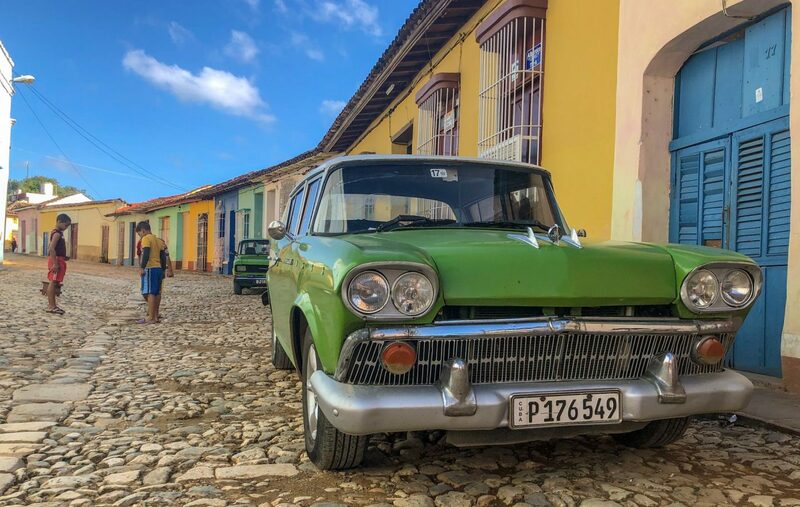 I didn’t visit as I wanted to go off the beaten track but some of Cuba’s best hotels and resorts are in Varadero – be warned, it’s super touristy as a result. Trinidad is a gorgeous little town in central Cuba. Think cobbled streets and pretty pastel houses. It was the epicentre of the sugar trade back in the 1800s and you can visit old plantation houses if you wish. You can also go hiking and learn salsa. Make sure you check out the iconic Casa de la Musica at night. Both Cienfuegos and Santa Clara are very close to Trinidad in central Cuba. Cienfuegos was one of my favourite places in Cuba. The city centre is very pretty, it’s a UNESCO heritage site. 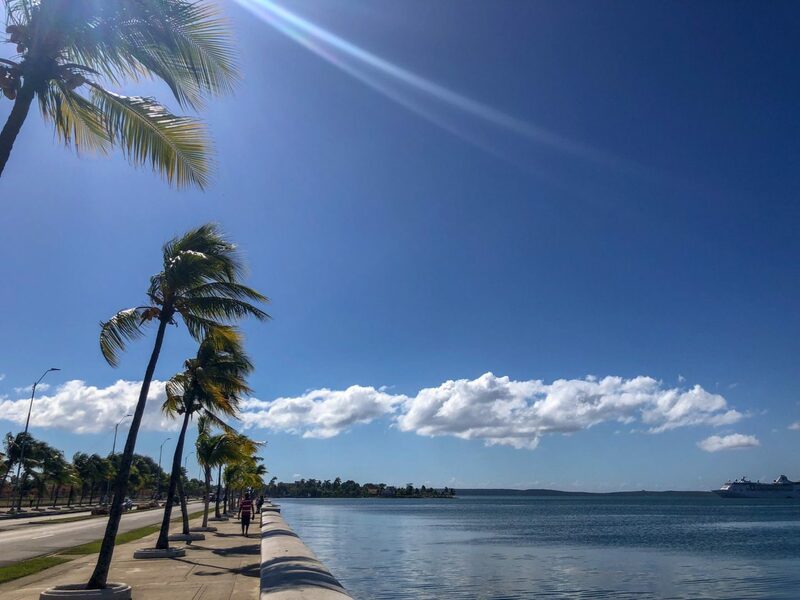 The Punta Gorda neighbourhood is beautiful and it has a little beach which looks out across the Bay of Cienfuegos. Make sure you take a trip to Guanaroca Lagoon to see the flamingoes! Santa Clara is a pretty little town and also where the last battle of the Cuban Revolution took place. As a result, it’s a little shrine to Che Guevara. His remains were eventually laid to rest just outside of the city centre in a beautiful mausoleum and there are a couple of statues dedicated to him dotted around the city. Most visitors to Cuba don’t have enough time to visit the east coast which is a huge shame as it was my favourite part of the island. Beautiful, off the beaten track and much cheaper than the west coast, what’s not to love? 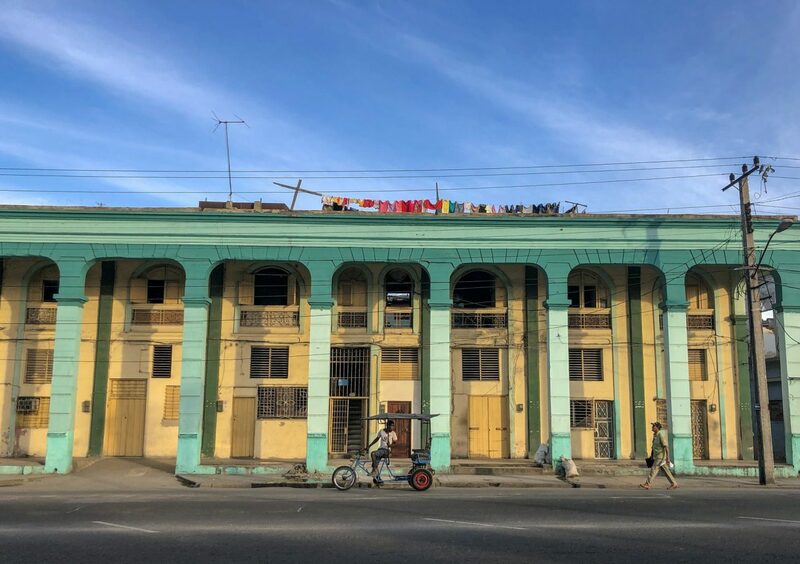 Santiago de Cuba has a vibrant energy and beautiful colonial architecture – everywhere looked like a picture perfect postcard. I immediately felt at home and spent most of my time walking around the city practising my photography. Casa de la Trouva is the spot to drink rum and dance the night away. Baracoa is Cuba’s best-kept secrets and one of my favourite places on the island. A tiny town, I felt like a local within a day as all of the locals were really chatty and friendly. The food was among the best I ate in Cuba. I had the best coconuts and cacao here, they’re grown locally. Outside of the city, there are plenty of hiking trails as well as the beautiful Yumari river. The two easiest and quickest forms of transport are the tourist bus (Viazul) or a shared taxi (collectivo) – a collectivo is only slightly more expensive than the bus. I preferred Viazul for longer journies so I could zone out and listen to music without feeling antisocial. I felt like having headphones on in a collectivo was a little rude but I thought it was handier to travel over shorter distances as it was quicker and usually offered a door-to-door service – with the Viazul you may need to get a taxi to and from the bus station. I used the Viazul website and timetable to help plan my itinerary so I arrived in Cuba with a very clear idea of which buses I wanted to get. You can reserve tickets online but I preferred to do this in person. Pro tip: the bus station is often a short distance from the centre of town so if you arrive somewhere via the bus, reserve your outbound ticket straight away to save yourself an unnecessary journey and guarantee a spot on the bus you want. If you don’t speak Spanish, it might help to write your destination and the bus time on your phone and hand it to the person at the counter. You may need your passport to complete the booking. On the day of travel, arrive at the station 40-50 minutes before your bus is due to depart to pay for your ticket and check-in. I found that buses generally left on time so it’s best to be a little early than too late. There may or may not be somewhere to buy water and a bite to eat so always bring something with you. The AC on the bus is usually cranked up super high so take something warm to wear. I usually wore trousers with sliders and a hoodie which was perfect. The easiest way to book a collectivo is to ask your hotel or casa owner. Everyone in Cuba is well connected and will know someone who has a taxi and can take you to your destination. Collectivos offer a door-to-door service which is handy and potentially means less waiting around. In Cuba, you have two choices in terms of accommodation: a hotel or a casa particular (private house). Hotels are either state-run or international chains whereas casas are private homestays similar to an Airbnb. For the majority of my trip, I chose to stay in casa particulars. Life is very hard for Cubans, there is a cap on wages which is really low so it’s hard to make ends meet. This is why offering a spare room or two as a casa particular is an attractive option, it’s an extra way to earn an extra income. It’s also a very authentic way to experience Cuban life. You can choose to pay 5CUC (about £4) for breakfast, which is always more than worth it. I stayed in two hotels during my three-week stint travelling around the country. Hotels are either state-run or international chains, there aren’t any independent hotels. The hotels I stayed in were both state-run and what I learnt is that they play fast and loose with the star system so always book a 5* hotel, that way you’ll end up in a 3-4* hotel. I actually looked forward to staying in a casa after my brief hotel stays! I’m used to winging at least part of my trips and booking some of the accommodation along the way. Cuba is a different story. Most casas only have 2-3 rooms available and the good ones often get booked up early. It’s also difficult to get online (more on that later) so I decided to book most of my accommodation before I arrived. I used a combination of Trip Advisor and Air Bnb to research and book my casas. Trip Advisor is great for finding a tried-and-tested casa and for reading in-depth reviews while Air Bnb is really good for discovering a new casa or really beautiful houses to stay in. When reading over the reviews, I paid attention to how friendly/helpful the hosts seemed – often they can help with booking a collectivo or excursion. I also took comments around location, cleanliness and wifi into account. Very few casas offer wifi but the odd one did which is super handy. On the odd occasion, I emailed a casa to book directly but the majority now use online booking sites so I tended to book via booking.com, Amoma or through Air BnB. Phew. That’s my bumper post on everything you need to know about Cuba before booking your holiday. I’m going to share my exact three-week itinerary in my next post but if you have any questions, please leave a comment below. You can also tweet me or reach out on IG. I’m going to Cuba in June so this was really helpful. Look forward to reading your itinerary.